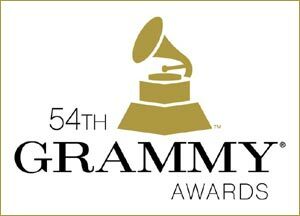 Previously announced performers for the 54th Annual GRAMMY Awards include Adele (in her first live performance since undergoing vocal cord surgery last fall); Jason Aldean and Kelly Clarkson; Glen Campbellwith The Band Perry and Blake Shelton; Coldplay and Rihanna; Foo Fighters; Bruno Mars; Paul McCartney; Nicki Minaj; Katy Perry; and Taylor Swift. Aldean, The Band Perry, Minaj, and Shelton will perform on the GRAMMY telecast for the first time. Previously announced presenters are Dierks Bentley, Drake,Miranda Lambert, and Gwyneth Paltrow. LL COOL J has hosted "The GRAMMY Nominations Concert Live!! — Countdown To Music's Biggest Night" since its inception in December 2008, and this is his first time hosting the annual GRAMMY Awards telecast. The 54th Annual GRAMMY Awards are produced by John Cossette Productions and AEG Ehrlich Ventures for The Recording Academy®. Ken Ehrlich is executive producer, Louis J. Horvitz is director, and David Wild and Ken Ehrlich are the writers.